I should have written this when I first started this blog, but better late than never, eh? Here is a brief introduction to Japan. 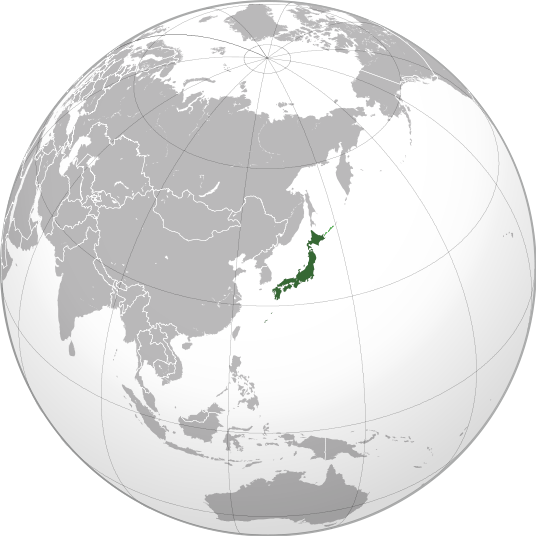 Japan is an island nation in the Pacific Ocean, off the coasts of China, Korea, and Russia. It consists of four large islands and several thousand small ones, and has a total land area slightly less than that of California. In the Japanese language, “Japan” is called Nihon or Nippon. These are just two ways of pronouncing 日本, which means “sun source,” hence “Land of the Rising Sun.” Appropriately, the flag of Japan represents a sun. Japan is a constitutional monarchy. The emperor is the symbolic head of state and the prime minister is the head of government. The legislature is a two-house parliament, known as the Diet. The capital of Japan is Tokyo. Tokyo’s population is about 12 million, but the Greater Tokyo Area (the region you get if you put the borders at where the city actually stops instead of where its official boundaries are) is the largest metropolitan area in the world, with 36 million people. Tokyo also has the largest GDP of any city in the world. New York is only US$60 billion behind, but the gap between New York and #3, LA, is about $500 billion. Japan’s national economy, meanwhile, is the second third largest in the world. 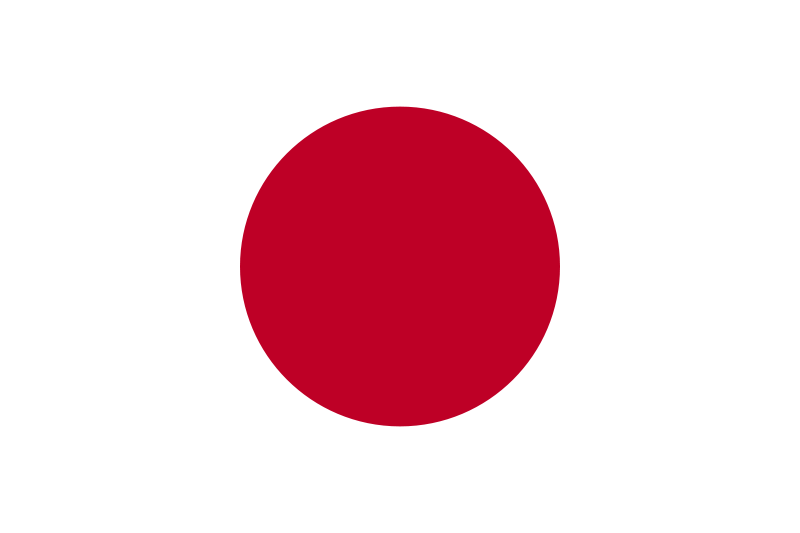 Japan has a population of 127 million people. 98.5% of those people are ethnically Japanese, 0.5% are Korean, 0.4% are Chinese, and the rest come from everywhere else. Japan has the longest life expectancy in the world, but the birthrate has dropped so much that the population has been contracting slightly for a few years now. Finally, regarding religion, the CIA’s World Factbook says that about 84% of Japanese are Shinto, 71% are Buddhist, and 2% are Christian. The numbers add up to more than 100 because most Japanese follow a mixture of Shinto and Buddhism, rather than only one or the other. However, it’s worth noting that for the majority of these people, the Shinto and Buddhist beliefs and practices they adhere to fall more in the realms of culture and tradition than deep religious devotion. In separate posts, I’ll give overviews of Japan’s geography, history, and language. In 2010, China overtook Japan to become world’s second largest economy. But speaking of “world’s largest,” this UN report from 2009 projects that Greater Tokyo will continue to be the biggest urban agglomeration (by population) for the next several decades at least. Summer in Japan is a sweaty, sweaty affair. It’s hot and oppressively humid, and many homes – like the apartment I lived in – don’t have air conditioning (nor do most classrooms). And yet, I feel a certain nostalgia for the Japanese summer. In particular, I remember the sound of summer quite fondly. Take this commercial for watermelons. But the dialogue is beside the point. Well, it’s beside my point anyway. The scene is established as taking place in summer before anyone speaks and before visual cues are provided. How? In the background, we can hear cicadas. Every summer, Japan abounds with cicadas. Lots and lots of astoundingly noisy cicadas. More than 30 species inhabit the archipelago, and each has a unique call. But the cicada that is most strongly associated with summer is the one you can hear in the commercial, the minmin-zemi. Its call is distinctive and it’s most active during the hottest weather, so the minmin-zemi is the unchallenged icon of summer in Japan. Still, it’s only one part of the chorus. The tsukutsukubōshi also has a distinctive song. Its name is onomatopoeic, as is minmin. Semi (“seh mee”) means cicada. Meanwhile, many varieties have more monotonous calls, as with the kuma-zemi (“bear cicada”). But while these three types of cicada blare away during the day, twilight belongs to the higurashi. I have vivid memories of summer evenings at my apartment in the mountains north of Kobe. As the heat of the day softened, the breeze through my windows would carry the quiet sounds of neighbors preparing dinner or listening to the evening news. And as the sun sank in the sky, the higurashis’ haunting cries would begin to echo in the warm air. You are currently browsing the Erratic Dispatches blog archives for August, 2009.